Ex: They've just set off on a round-the-world cruise. Ex: The Caribbean is a popular holiday destination. Ex: The cost of student accommodations is rising steadily. Ex: Many refugees have arrived at the border without passports. 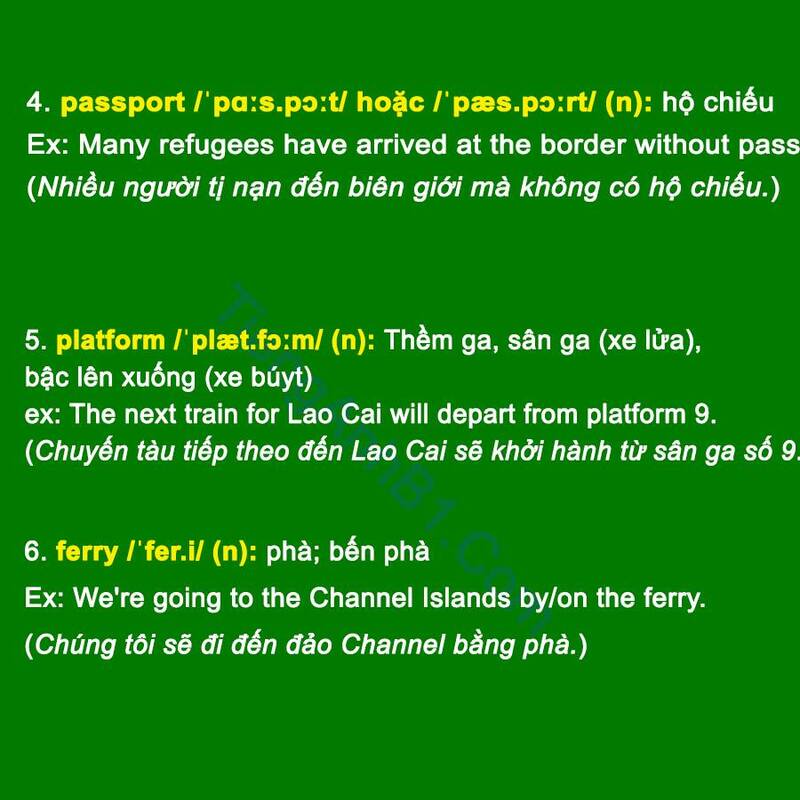 ex: The next train for Lao Cai will depart from platform 9. Ex: We're going to the Channel Islands by/on the ferry. Ex: Busses are a cheap and efficient means of public transport. Ex: All flights to New York today are delayed because of bad weather. 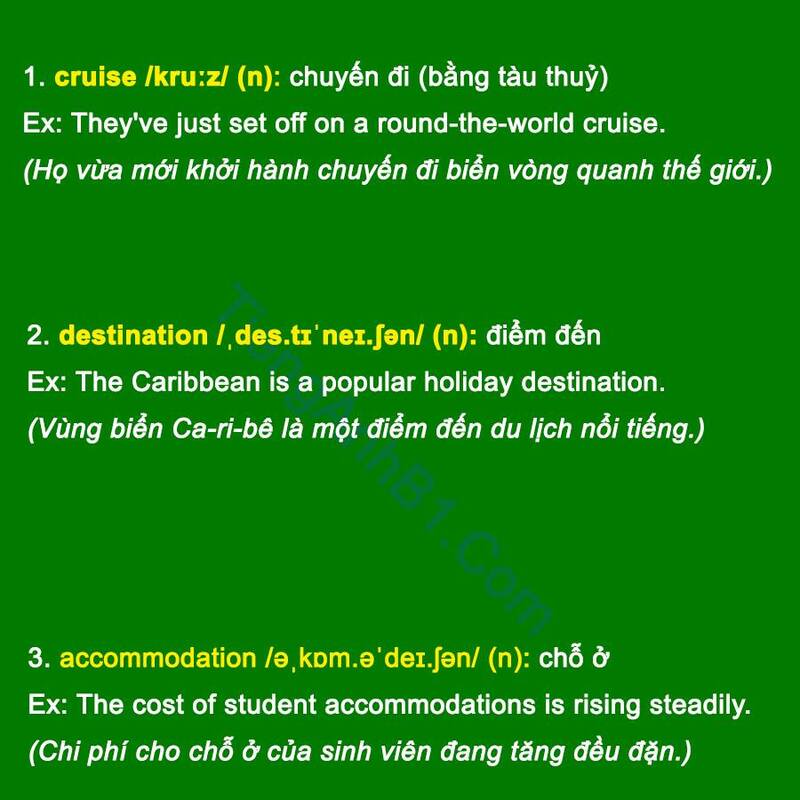 Ex: The resort is frequented by the rich and famous. 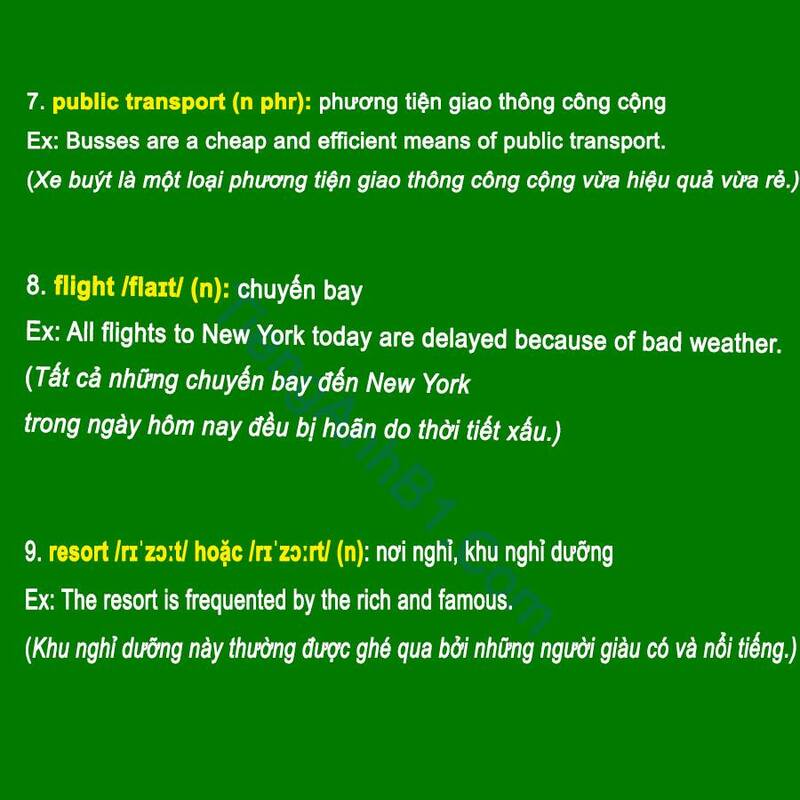 Ex: We're going to the airport by coach. Ex: It was a pretty town with a picturesque harbour and ancient buildings. Ex: He bought a model of Big Ben as a souvenir of his trip to London. Ex: It's a two-hour train journey from York to London. 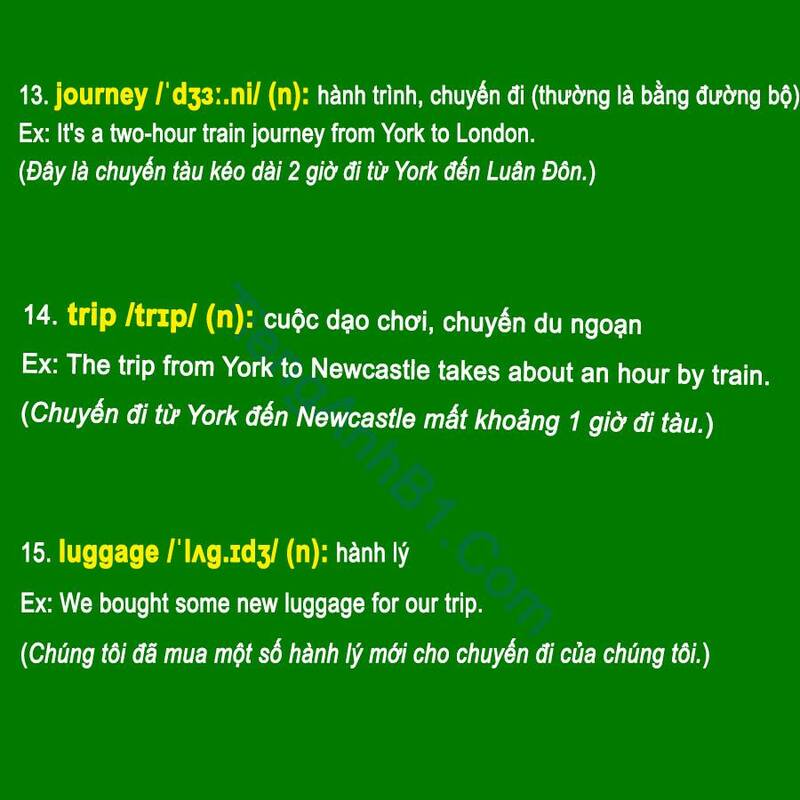 Ex: The trip from York to Newcastle takes about an hour by train. Ex: We bought some new luggage for our trip.